This 127 sqm is 2 bedrooms. It comes with fully furnished, fitted European kitchen, washing machine and pool access. Facilities at Montrari Jomtien Beach View including swimming pool and fitness. 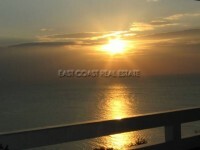 This condominium is situated on Jomtien beach road. It is close to shops, restaurant, pattaya floating market, convenience store, Bank and etc.